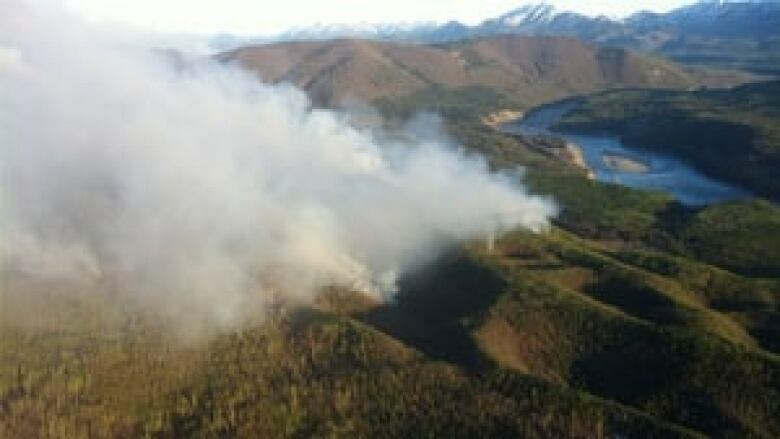 A First Nation band is reviving the age-old practice of controlled burning in order to improve the health of forests and restore the population of the wood bison in a corner of northeastern B.C. "Fire, used properly, is a friend, not an enemy," says Rose Loe, an elder in the Fort Nelson First Nation, which is composed of Dene and Cree people near the Yukon border. "We have this notion of ‘Put out the fire,’ like ‘Don’t let the fire spread,’ and that’s interfering with not just the bison, but our use of the land." According to Sonja Levarkus, an ecologist working with the Fort Nelson First Nation, the controlled burning of forests gets rid of deadwood and stimulates the growth of more desirable vegetation. The wood bison was wiped out in B.C. in the 1900s, but a tiny number survived in the Northwest Territories. Twenty years ago, a small herd was released deep in the B.C. bush. Over time, however, this threatened species has strayed from its home range and now grazes alongside the Alaska Highway, where the bison has become a hazard for motorists. It is estimated five to 20 bison die every year as a result of vehicle accidents. Sevarkus hopes that controlled burning of forests will produce a more open landscape and will entice the wood bison back to its home range. The benefits of controlled burning have been documented in Australia’s Western Desert, where the Martu, a hunter-gatherer tribe, has been doing it since time immemorial. By burning patches of spinofax shrubs, Martu hunters are better able to flush out prey such as goanna lizards. Rebecca and Doug Bird, anthropologists from Stanford University who have studied the Martu’s techniques, say it increases the tribe’s hunting productivity significantly. Doug Bird says the fires also encourage a cycle of vegetation growth, which in turn acts as feed for everything from kangaroos to turkeys. "On a daily basis in Martu country, there's probably no more than 100 people hunting and gathering in an area the size of the state of Wyoming," says Bird. "Those 300 people are maintaining a landscape just through their daily practice that increases the biodiversity of that massive region just by going out and spending a few hours a day acquiring food." Rebecca Bird says that due to concerns about safety, controlled burning is seen as a somewhat controversial practice in North America. "You don’t see indigenous people able to light fires in ways that are consistent with this very long history of tradition in almost any other environment, because they're constrained by so many other social-political factors, by urbanism, by pastoral interests, mining interests," says Bird. While it may seem counterintuitive, controlled burning can actually mitigate forest fires, by removing dry growth that in hot weather could lead to bigger, more damaging fires. After hundreds of homes were destroyed in Kelowna, B.C., by wildfire a decade ago, a provincial review of the disaster called for more controlled burns. Lana Lowe, director of lands for the Fort Nelson First Nation, says that controlled burning has deep roots in her community. It was second nature to her grandfather, she says. "He did it because the land needs to be taken care of, and that’s part of taking care of the land, making sure that all this old scrub… isn’t there, tripping up animals and choking out the medicine and food plants that come up for us." This story was produced with the support of the Bill Lane Center for the American West.